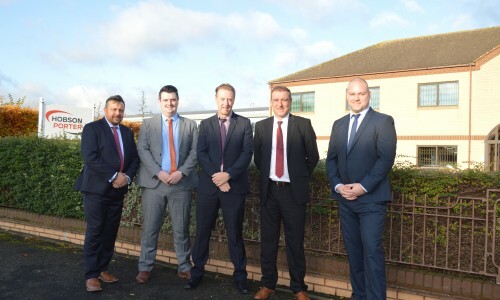 Hobson & Porter has announced the appointments of four new members to their senior team, following another successful year for the business. The Hull-based construction firm has appointed key directors and managers following a period of growth and development. Mike Beal has been promoted to become the new Construction Director, having previously been Construction Manager, while Duncan Wilson (Senior Contracts Manager) and Chris Elvidge (Managing Quantity Surveyor) have taken on more senior positions in anticipation of continued success as the business moves into its 46th year. As well as these internal appointments, Joe Booth has joined the business as Strategic Development Manager, coordinating the business development and marketing functions of the business to deliver a long-term pipeline in both Yorkshire and Lincolnshire. Joe brings a wealth of experience in both Business Development and Marketing, previously working for organisations including British Steel, The Spencer Group and The Shepherd Group in York. Managing Director Richard Hunter said: “2016 has been an excellent year for Hobson & Porter in terms of contract wins and successful project deliveries. Moving forward, we are aiming to continue our sustainable growth and have therefore decided to make several key appointments at senior level. “These personnel all have extensive knowledge and vast experience in their fields, and will help the business continue to develop its strength in the marketplace and position ourselves in the best possible way. This year has seen Hobson & Porter complete many high-profile projects across the region, including, the iconic Amphitheatre at Hull’s Dry Dock ready for Hull City of Culture 2017, a new state-of-the-art outpatients facility for Spire Healthcare in Anlaby and the second Phase of the Riseholme Showground Campus in Lincoln, a part of Bishop Burton College. Notable projects also include the construction of a new Lidl store on Hedon Road and Beverley Parklands Care home.